National Bank of Agricultural and Rural Development for 02 Attender posts On Mar 2015. Age limit : All Interested candidates age should be between 20 - 30 years. Age Relaxation will be applicable as per the rules and regulations. 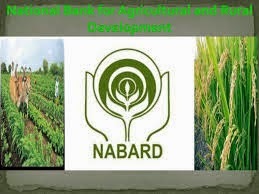 How to Apply : All Eligible And Interested candidates need to download application form through official website http://www.nabard.org. After filling the application form Candidates need to send hard copy of application along with relevant testimonial (Mentioned in the Advertisement) to the below address on or before 05-03-2015. Important date to Remember : 05-03-2015.